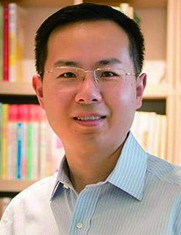 Jingren Zhou is Vice President at Alibaba Group. He is responsible for driving Big Data development and business strategies at Alibaba. He manages the cloud engineering team to develop cloud-scale distributed computing platform, data analytic products, and various business solutions. He is also Head of the Search Division at Alibaba, leading the search engineering team to develop advanced techniques for personalized e-commerce and multimedia search, and provide best-in-class shopping experience at Alibaba's e-commerce platforms, including Taobao and Tmall. His research interests include cloud-computing, distributed systems, and databases. Dr. Zhou received his PhD in Computer Science from Columbia University. As the world’s largest e-commerce platform, Alibaba heavily relies on massive data analysis of many kinds to collect data insights and drive business decisions in real time. In this talk, I’ll present an overview of Big Data and AI computing platform at Alibaba, which consists of a wide range of products and services to enable fast and efficient big data development and intelligent analysis. The platform not only supports Alibaba’s internal businesses but also provides solid services to enterprise customers via Alibaba Cloud. I’ll also describe key techniques and system internals, and outline outstanding research and engineering challenges.